Kudos to Matthew Kennedy and friends, owners of Sustain Brands, for implementing a sustainable marketing model that brings locally owned, locally grown goodies to our grocers’ shelves, satiates our bellies with delicious, nutritious treats, and delivers profits back to our community’s lesser-known farmer’s markets and growers. Matthew’s company, Kennedy Creative, has worked for over 25 years developing branding and marketing strategies for large national companies based in Cincinnati including United Dairy Farmers and Kroger. In 2009, inspired by a belief that strong regional brands lead to strong regional economies, the company began an initiative to help local growers expand their consumer base. Sustain Brand was born– a single label uniting different products from various growers and producers bearing one important similarity: everything is sourced and grown within a 300 mile radius. So. Maranara and salsa from Kentucky? Check. Jams and jellies from Amish country? Check. If it’s grown and made within 300 miles of the distribution area, smaller mom and pop producers are eligible to join the Sustain family. According to John Blatchford, an MBA student at University of Cincinnati working in marketing for Sustain, the brand’s ultimate objective is to expand products from local farmers into a larger Cincinnati-area market. Indeed, the average food item travels 1,500 miles to reach your grocer’s shelf. Higher transportation expenses increase costs, and additional miles traveled compound the negative impact of harmful CO2 emissions. One of Sustain Brand’s most important objectives is to provide marketing power to local brands. Monica and Mill Long from KHI Foods in Burlington, Kentucky manufacture salsas, including a delicious “hot” peach raspberry with a delightful kick, soups like chicken gumbo, minestrone, sweet creamy tomato, and vegetable beef, and “12 Veggie Marinara” sauces in five flavors that make a quick, healthy dinner a snap. These products are all marketed under the Sustain brand. Both Sustain and KHI are relentlessly devoted to premium, healthy products. The first 12 items in KHI’s marinara sauces are all vegetables; you will not find “tomato paste” anywhere on their product label. 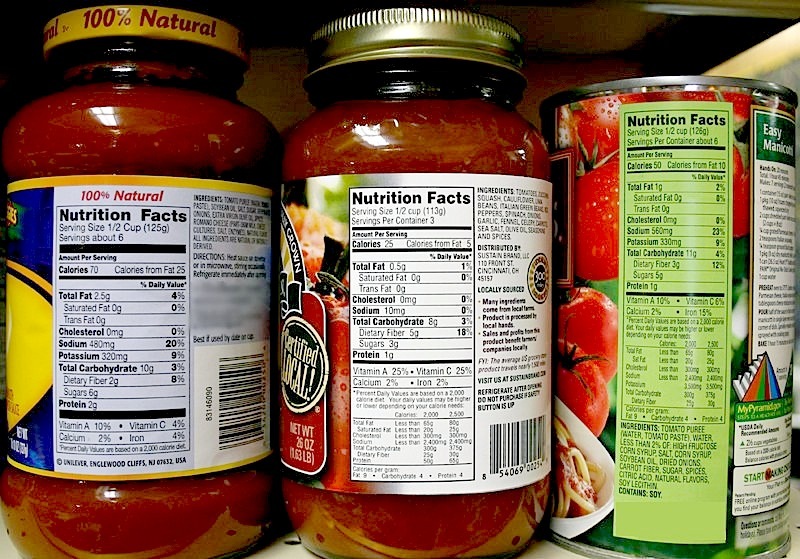 The sodium level is a mere fraction of most commercial tomato sauces. Like Sustain, KHI Foods is a socially conscious company; it manufactures fortified products with farm-fresh fruits and vegetables specifically intended to combat malnutrition in patients with cancer and other illnesses. 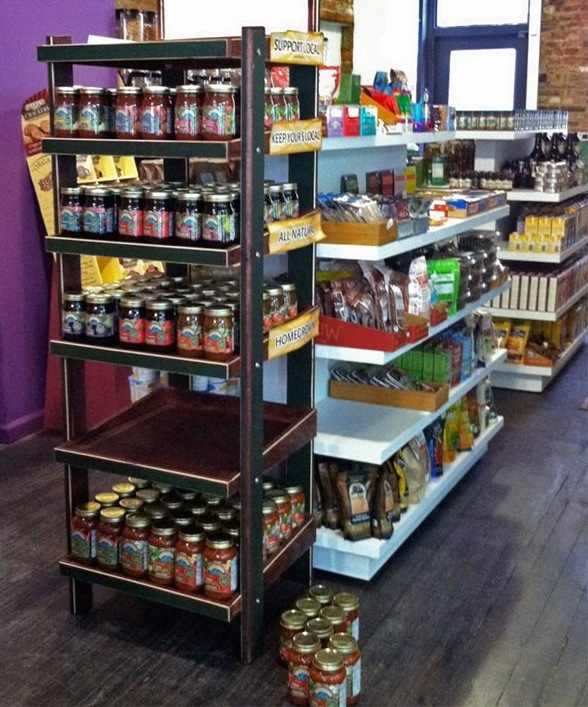 As a result of the marketing efforts of Sustain, KHI Foods products are available at some of our favorite urban groceries including Madison’s at Findlay Market, Clifton Natural Foods, and Park+Vine, where owner Dan Korman reports that the products, especially the salsas and marinara sauces, are very popular. But Sustain has looked to a greater audience, ultimately marketing products from KHI Foods and other local growers to fifty total urban and suburban grocery stores including Kroger locations and, most recently, fourteen local Remke Biggs stores. When Sustain partners with local growers, the products bear the Sustain label on the front. The label promises the product was “Locally Owned, Locally Grown.” In furtherance of the brand’s truly collaborative intent, the back of the label bears the manufacturer’s name and a brief description of the company. In addition to products from local growers KHI Foods, Sustain markets Amish jams and noodles from Mrs. Miller’s in Fredricksburg, Ohio as well as more familiar local brands including Cactus Pear’s salsas, gelato and sorbet from Madisono’s and four flavors of artisan coffee from La Terza Roasterie. images: Park+Vine carries Sustain Brand ; Sustain Brand marinara is a fraction of the sodium of name brand sauces. Provided.